Pay attention to buying a house! These cities are restricted for sale and will be thawing. After a number of regulatory cycles,“Short-term policy, long-term population”The characteristics of the real estate market reflected in the invention. The trend of short-term housing prices is increasingly correlated with the trend of the policy. The 2015 “3·30” housing loan new deal and the subsequent personal housing business tax exemption period were reduced from five years to two years. After two years of quiet, the property market has entered a new round of rising cycles. Driven by the strong recovery of the property market in the first-tier cities, and the stimulus policies of the local market, such as shed reforms and housing subsidies, the second and third-tier cities have fully recovered. The recovery of the property market has brought about a rapid rise in natural housing prices, which has the “9·30” New Deal in 2016. Although the price increase has begun to fall afterwards, the inertia rise still exists, and the rapid rise has not been effectively curbed. At that time, under the background of “dwelling in housing and not speculating”, many cities have upgraded their control measures to combat speculative demand for real estate investment. On March 25, 2017, Xiamen became the first city in the country to issue a restriction order, requiring new homes to be acquired for two years before they can be listed and traded. Until 2019,Among the first cities to introduce a restricted sale order, the “frozen” properties will be “thawed” one after another.This batch of real estate that can be "circulated" will enter the market one after another, will the property market usher in a wave of selling? In this regard, “Magic Engraved Real Estate” selected four restricted cities including Guangzhou, Xiamen, Jinan and Changzhou, including the first, second and third lines. On March 30, 2017, the General Office of the Guangzhou Municipal Government promulgated the “restriction order” – the newly purchased housing (including second-hand housing) of the residents' families must be transferred after the real estate certificate has been completed for 2 years; enterprises, institutions, social organizations, etc. A new purchase of a house by a legal entity must be obtained after the real estate certificate has been obtained for 3 years. Guangzhou is the first city to start a residential restricted sale. Up to now, the listings that were not allowed to enter the market due to policy restrictions have been banned from entering the market.There have been views that if this part of the listing enters the market in the next few months, it will have a certain impact on the Guangzhou property market.The listing of second-hand houses in Guangzhou is indeed in the process of surge. According to data from Guangzhou Chain Home, as of April 11, 2019, the number of second-hand listed listings in Guangzhou has reached 40,976. At the end of 2018, the list of listings on the Guangzhou chain home was only around 30,000 sets. In the four months, the number of listings surged by 10,000 sets, mainly because of the restrictions on the sale of restricted housing. Xiao Wenxiao, chief analyst of Kerry's Guangzhou region, said that the reporter of “Magnetic Real Estate” said that on the eve of the 3.30 regulation, the average monthly transaction volume of Guangzhou's second-hand property market was over 10,000 sets, but in March, many home buyers were introduced. The panic entered the market, and the number of transactions was as high as 30,000 sets. "Now two years have passed, this batch of listings has been banned, and the number of listings that have entered the market will inevitably increase." However, some intermediaries, when asked about the reasons for the increase in listings, believe that the impact of restrictions on lifting the ban is only one aspect of the increase in housing. An intermediary in Huangpu District pointed out that the main impact of the restricted sales is the investment demand, which will drive the whole market to be more rational. However, at that time, the housing estates affected by the restricted sales were in a timely manner, and it is difficult to quantify the impact. "It doesn't matter, it's how long it takes," said another Chen, an intermediary in Tianhe District. It should not be overlooked that the second-hand listed listings in Guangzhou have been on the rise since 2017. According to data from Guangzhou Chain Home, at the end of 2017, second-hand listed listings have just wiped over 20,000 sets, and by the end of 2018, this figure has risen to 30,000 sets. on the other hand,The existence of restricted sales also "frozen" some customers with replacement needs. A home buyer with replacement needs told reporters that he had wanted to buy the house before, but "If you sell this set, the next set will have to be tied for two years. Who knows this will be in the middle. Will not rush to ask for money? A hesitation, the second-hand price will come down." Xiao Wenxiao pointed out that due to the other policy of 3.30 regulation, "the foreigners buy housing social security for three years and five years," the same expiration, which means that there will be a wave of demand released, the two hedges can reduce the impact on the market. Overall, the Guangzhou market did pick up in March, and some properties also have price increases, but most of them are low-level rebounds. The real price increase is not common. The current supply and demand relationship in Guangzhou market is relatively stable, and the price is short-term. There won't be big changes. On March 25, Xiamen launched the first restricted sale of the “restricted sale” policy two years ago and lifted it into the market. After the release of the New Deal in March 2017, the volume of second-hand housing in Xiamen was almost swaying.In April 2017, 3,830 sets of second-hand houses were sold, and this figure reached 7,000 sets in March on the eve of the New Deal. Since the second half of last year, the Xiamen property market has ushered in a cold winter. The news of real estate price cuts and loss sales has been continuously transmitted. Vanke’s projects in Xiamen have even been pushed to hot search. Contrast with the freezing period in the second half of last year,In the opening year of this year, the property market in Xiamen has shown signs of recovery.In March, there were 9 key projects in Xiamen, and the opening and closing of multi-projects was considerable. Xinjingxiang Xiamen Market Research Center data displayThe second-hand housing market in Xiamen has set a new high in the past two years. In March, the number of second-hand residential transactions in the city reached 4433, up 154% from the previous month and up 388% from the same period last year.The transaction area was 425,879 square meters, up 384% year-on-year. From January to March, the total number of second-hand residential transactions in the city was 9,345 sets, with an area of ​​900,000 square meters. Is the substantial increase in the volume of second-hand housing related to the expiration of the two-year limited sales policy in Xiamen? In fact, from the signing of a contract for the purchase of a house to the acquisition of a real estate license, and then to the real estate certificate for 2 years, the transaction can be listed.It means that many houses need to be “frozen” from purchase to sale for about 4 years, and there are not many houses available for entry into the market. Wu Hao, a real estate analyst at Anjuke Research Institute, believes that after entering April, the number of customers who have real housing needs in the transaction has begun to regain the upper hand, and the proportion has become larger and larger with time. The main appeal of this group of customers for real estate is to live, not to invest. Therefore, when the so-called “solutions” are expired, they do not necessarily flow to the market. In addition, from the perspective of the land market, on March 22, Xiamen ushered in the first soil shoot of this year, and finally won by Zhongnan and the first &#;;; Xiangfa took the price of 26,211 yuan / square meter and 25,209 yuan / square meter respectively. In the southern part of the new town of Xiang'an, although there is still a certain gap between the land price and the surrounding kings, compared with the price of the Xiang'an block sold in 2018, it can be seen that the developer is expected to re-raise the Xiamen real estate market. Anjuke data shows that since September 2016, Jinan's house prices have risen step by step, rising from an average price of 9857 yuan / square meter to 11,667 yuan / square meter in just 3 months, an increase of nearly 20%. On October 2nd of that year, Jinan City stipulated that the down payment for the purchase of the first set and the second set of commercial housing increased by 10% (from 20% to 30%). The households in this city can only buy one set of housing, and the foreigners are Jinan purchases 1 set of housing. On December 26 of that year, Jinan City stipulated that the city's household registration family should purchase 2 sets of housing; non-local households in this city should purchase 1 set of housing in the city (provided to provide personal income tax or social insurance certificate for more than 24 consecutive months in the urban area), Regulate plus code. In April 2017, the regulation was upgraded again. Jinan City stipulated that the second-family household registration family and the non-city household registration house down payment should be raised to 60%, and the non-moving property rights certificate can be listed for trading after 2 years. According to the data of Anjuke, the trend of house prices in Jinan increased steadily in 2017, and began to fluctuate in 2018. The fluctuation of the Licheng District where Tangye was located was particularly obvious, from the high of 17854 yuan/square meter in August last year to April this year. 16475 yuan / square meter. "From the previous rounds of regulation and control, the necessary conditions for policy loosening, at least, wait for housing prices to stabilize, even steady and falling, the market has calmed down, and these conditions are basically in place. 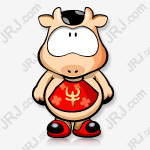 April 4-19, The internal system of the Housing Authority is being upgraded.Now that a lot of things can't be done, I wait for the day of the 20th expiration. I think the possibility of letting go after this expiration is very high.Big. Xiaoru revealed to reporters. However, the official is another attitude. 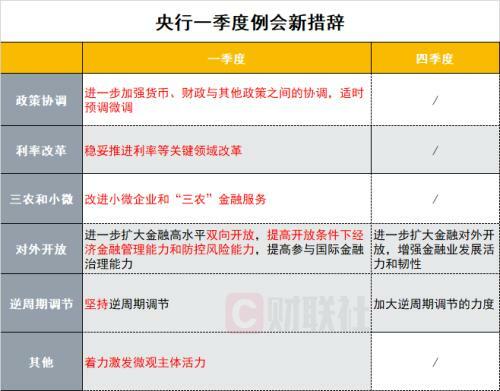 "According to the documents of the Jinan Housing Security Administration, the restriction policy is still being implemented, and we will not know if we will change it later.. "The 12345 government affairs platform in Jinan City responded. Just in March of this year, in response to various rumors about the cancellation of restricted sales in the property market at the beginning of the year, the spokesperson of the Jinan Municipal Housing and Construction Bureau reiterated that “the regulation of the real estate market will not be shaken”, and the Jinan Municipal Bureau of Housing and Construction jointly issued a notice. 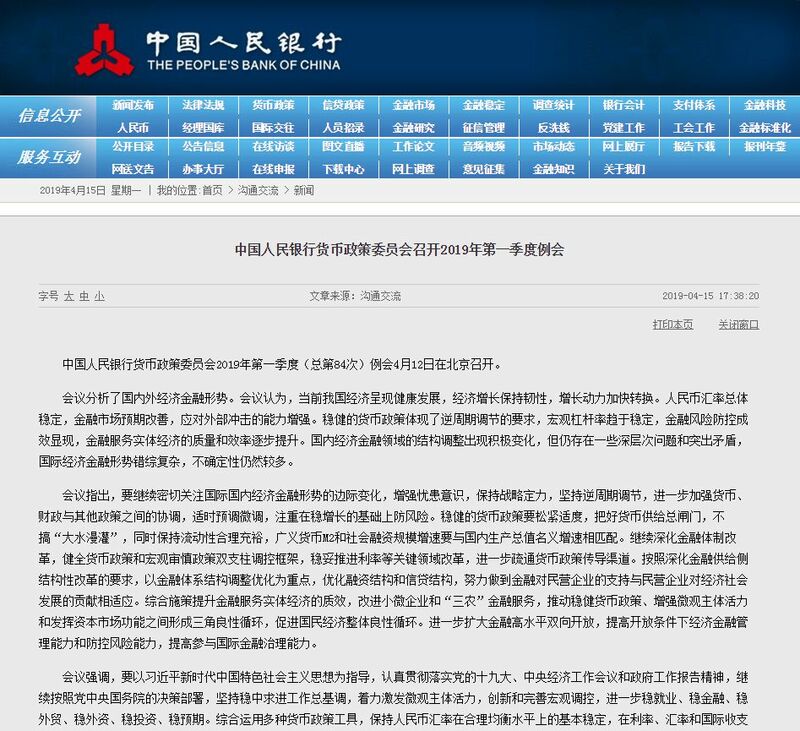 It said that it will "strictly implement the regulatory policies that have been introduced, maintain the continuity and stability of the regulatory policies, continue to do a good job in price guidance, and ensure market stability," and very rarely bring the public security department into its own property market regulation detachment. The two sides will unite to take legal measures against institutions and individuals that disseminate untrue and bad information. There is also a group of data released by the Ministry of Housing and Construction of Shandong Province. As of the end of December 2018, the inventory area of ​​new commercial housing in Jinan was 25.433 million square meters, an increase of 15% year-on-year, and the de-chemical cycle was about 20 months. In other words, the current inventory of the Jinan property market is sufficient. “Restricted sales have little effect. House prices have been rising in the past two years.” “Magnesium engraved real estate” reporter visited a number of real estate agents in Changzhou, and the business staff gave a more consistent answer. Similar to most third-tier cities, the downtown area of ​​Changzhou is not large, and the price of high-quality second-hand houses and school districts in urban areas is much higher than that of new buildings in the suburbs. The best selling is always the school district, but because the age of the house is old, the housing age of 10 years or so is very scarce, the unit price is 30,000 yuan to 39,000 yuan / square meter, and usually the sales speed is very fast. The reporter noticed that Changzhou also adjusted the housing provident fund loan policy at the same time as the restriction on sales: the second subsidy loan (including the transfer of interest-paying loans), the down payment ratio increased from 30% to 50%. According to media reports at the time, the “last train” effect appeared in the market in the new month, and the transaction volume rose to the second highest monthly transaction area since 2015, second only to the “Golden Nine” sales market during the high market in 2016. Although the market has ushered in a wait-and-see period since then, it has not affected Changzhou's housing prices to continue to rise. According to the data of China's 100-city housing price report, the average price of residential transactions in Changzhou has undergone an adjustment period of about three years, and has risen all the way since mid-2016. In April 2017, the average price of residential transactions in Changzhou was 9853 yuan / square meter, and the average price in April 2018 was 12325 yuan / square meter, up 25.1% year-on-year. In February 2019, the average price continued to rise to 13,707 yuan / square meter. Lu Zhongkai, an analyst at Shanghai Zhongyuan Real Estate, told reporters: "Restrictions on sales are actually more psychological shocks. How can the market be during this period? No one can predict that this uncertainty can filter many speculative investors. In general, Due to the restrictions on taxes and fees on second-hand housing transactions, the cost of speculation is high. It is unrealistic to get rid of it within one year. Moreover, some of the 期房 itself has to be paid for more than one year from the time of purchase, and there is no short-term speculation atmosphere." However, compared with the price of surrounding cities, the average price of Nanjing has exceeded 24,000 yuan / square meter, the average price of Suzhou has exceeded 20,000 yuan / square meter mark, Wuxi over 16,000 yuan / square meter, the average price of Changzhou residential is 13,000 yuan / square meter Left and right, relatively low.